The two of them seem quite happy in their new home, nestled between the cowardly lion and a strawberry. Yes, the little guy went to work on the ornaments quickly, as he does every year. A fragile Charlie Brown’s Christmas globe hit the floor just minutes after we plugged in the decorative lights. My fault for putting it out. Fortunately, most of his attention has been on the ceramic Santas, which, as usual, have found themselves relocated to numerous nooks and crannies throughout the house. I found one staring at me from the top of the toilet tank last night. Got me questioning whether I was naughty or nice this year. We know better than to hang the stockings. Who can resist their soft fuzziness? Not Clay. What did the little fellow think of the decorated tree? “So beautiful,” he typed on the keyboard he uses to communicate. Couldn’t agree more, especially with the Grinch back, smiling his goofy smile. This entry was posted on December 20, 2011, 11:38 am and is filed under Communicating, Silly Behaviors. You can follow any responses to this entry through RSS 2.0. You can leave a response, or trackback from your own site. 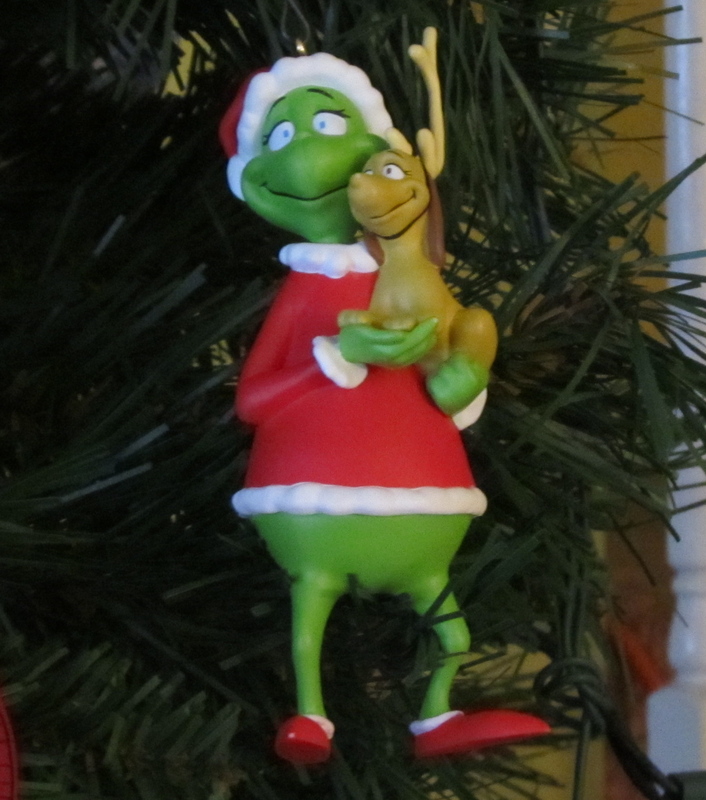 Have always had a soft spot for the Grinch… Love reading this blog, have a happy new year!